*Fixed Chrome 37/38 crash error C0000008 (invalid handle). *Fixed Chrome 38-64 hang (web page unresponsive). *Fixed Chrome hang when printing to PDF. *Fixed Excel crash when copying large amounts of data. 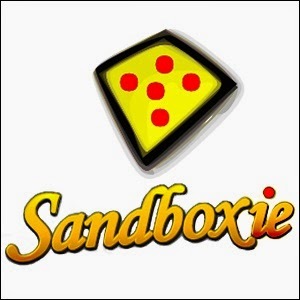 *Sandboxie now has language support for Farsi (Persian). 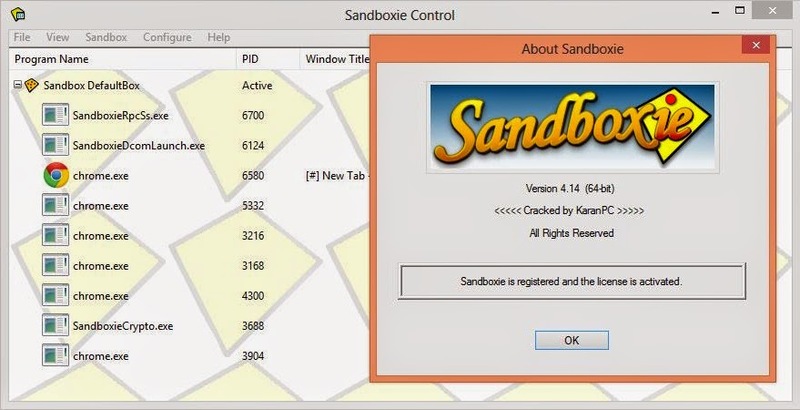 *The auto-update feature only checked the next update time (sandbox.ini setting SbieCtrl_NextUpdateCheck) 1 time when SbieCtrl.exe was started. If SbieCtrl.exe was kept running, it would never check the update time again. *Several large memory leaks (reported by Dr. Larry Pepper et al.) have been fixed. *ASLR is now enabled for SbieDll.dll 32 bit (64 bit will come later). *OpenIpcPath=\BaseNamedObjects\FontCachePort is now in templates.ini as a default. Until now, this was a suggested work-around for some Chrome 37 problems. more..
not running on window 8 64 bit..i want to send screenshot to you..